There is no fee to join. All you do is select 4 wines, of your choice, as your first club pack or select the current pack. You then receive the club discount (15% off) for these wines, enjoy complimentary tastings and a 15% discount on your subsequent wine purchases and you agree to purchase (3) club packs during the next twelve months. 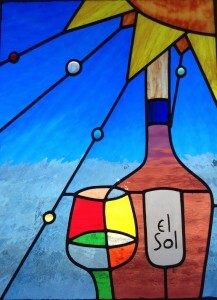 We’ll let you know when they are released and available for pickup, and you can come and enjoy another day at El Sol! A New Club specifically designed for Futures members? Announcing a Wine Club for our “Frequent Flyer” Futures customers. Only 4 purchases per year and you are in.. All the advantages of the regular club. Look for a email soon if you qualify.